In general, H-Roa excels at controlling and dominating the ground. 236A/B and 214A/B are extremely useful tools for controlling space in ground-to-ground combat. 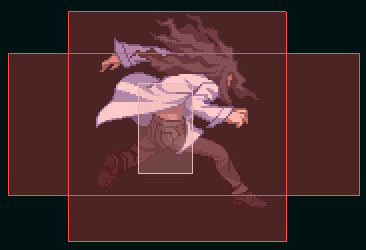 Your opponent cannot safely backdash midscreen due to the reach of your 236 series which you can use to punish backdashes on reaction. Your opponent should feel that the only way to battle you is in the air, and in most matchups you can battle them pretty effectively in the air as well with use of j.A/B/C. 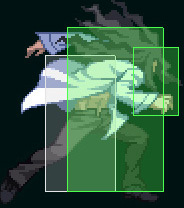 So play air footsies with j.A and j.B, poke with 214B and find a chance to connect with a 236B and start pressure. 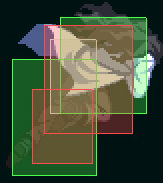 j.A is a 6 frame air to air with good range, can be used to chain multiple j.As into air throw on block. 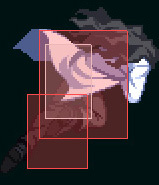 j.B has a stupid hitbox that hits 180 degrees upfront, your general tool for easy air footsies and airdash offense. j.C is the preferred downward attack if you can space it well to reach with the tip. Just consider that it’s the pants that are hitting, not the shoe, so the range is shorter than it may look. The 3 versions of 236X should be treated like 3 different moves with different roles each. Roa is invincible while moving forward, but vulnerable at the start and at the end while staying in place. 236A is fast to come out and useful for ground mobility and is your primary tool for punishing whiffed normals midscreen or backdashes. For example you can get of the corner by going under a jumping opponent with it, or catch a projectile user from half screen distance. Because it’s air unblockable you can also try to time it to catch a landing opponent, but don’t be predictable with it because of shielding. 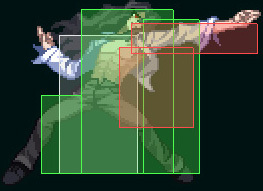 Knocks down but with meter only combo into 214C -> air combo. Be aware that 236A is fairly minus on block and anyone prepared will retaliate you, be sure to block when coming out of it unless you know for sure they’re not going to punish you. It is most effective for catching landing opponents from the air or if you’re reading a jump out of pressure and you’re too far away to 2C. 236B is H-Roa’s raison d’etre, his most important tool. If it’s blocked it grants a big frame advantage and restarts your pressure, as your opponent cannot interfere and you can mash 2As up close. If it hits from a farther range your 2As can start a full combo of 2A 2A 5C(1) j.B j.C j.B j.C air throw. If used close enough, it can also be used to cross up make your opponent reverse block, disabling their ability to use any of the shield functions. Using too close will cross up but leave you at a further range where continuing any pressure or hits is only possible via 236C or 214C. It’s air unblockable so if you mix it well in pressure strings, it would be hard for the opponent to try to jump away on reaction. Last but not least, you can hold the button and fake it if you expect an invincible move from the opponent. 236C is the super version of the move. It’s not invincible on startup, but since the startup is really fast, it becomes invincible very early, so you can use it to get out of bad situations if you have a small window to start it. It can reach full screen but on block it’s punishable so use wisely. A good tool to keep opponents honest at full screen. 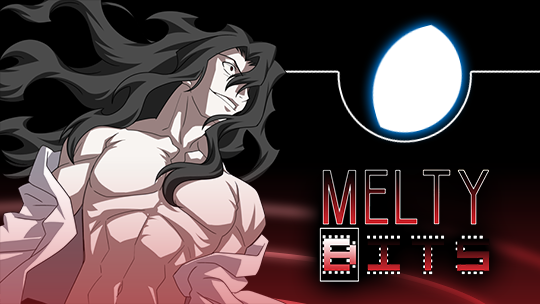 Unlike Ciel’s hiero, it is not a reversal, it does have startup. 214A is a good preemptive anti-air to cover the cross-up angle, and 214B covers the front angle. 214B can also be used to poke at midscreen. If it hits counter you can either pick up with 2C 6C air combo, or at farther ranges combo into 236C. j236A stops your aerial momentum so it has mobility uses. You can’t move afterwards until you land though… j236B takes too long so it’s not as useful. j236C is invincible from frame 1 and pretty safe on block. 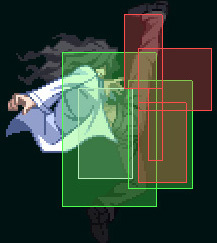 623A a situational anti-air, as all of its hits are air unblockable. Delay normals and mix in 236B, reverse beat resets, 6C jump cancels and 214A. All of his normals besides 5A and 2A advance him forward, and also can be canceled in a very delayed fashion, which is great for his pressure. Scaring the opponent with delays will allow you to slip in 236B and reset. Utilize the natural pushback in your favor so you’ll be out of the opponent’s A attacks’ range you as you start the 236B. H-Roa’s ground normals can be easily used in blockstrings with 2 exceptions: The 2nd hit of 5C, because it does not advance him forward (unless you WANT to create specific spacing for 236B as I’ve explained earlier), and the last hit of 5A6AA because it’s only special cancelable. 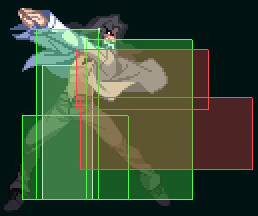 2A is 5 frame startup, minus frames on block and has bad range, shorter than it looks — same range as his 5A. Overall subpar for a 2A but it works well after 236B and what matters. You main starter up close because 5A should be saved for later in the chains for possible 5A reverse beat resets, and to utilize 5A6A in pressure and combos. Because you can mix 2A with delayed normals, it’s also possible to apply dash pressure a-la 2A * n > dash > repeat. 2B and 2C are his only lows. 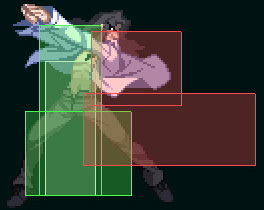 6C is a great blockstring ender because while it’s not cancelable to other normals via reverse beat, it’s cancelable into either specials, or to a jump, which leads to instant air dash. So after 6C mixing between instant air dash j.B and 236B should will make it hard for the opponent to jump away while resetting pressure. 6C can also be delayed to catch mashing – After a delayed 6C hits on counter you can confirm and pick up with 2C. All the moves that can be canceled into 236B to reset pressure, can also be canceled into 214A/B to fake it and catch mashers with a combo on counter hit, but 214A/B end pressure if blocked. 214C is a surefire way to reset the pressure for 100 meter. 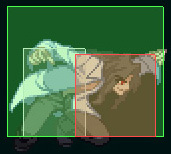 If it hits you can continue into an air combo. Even shielding won’t help against it. 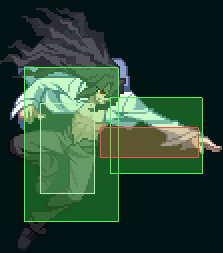 If If spaced right in the corner when blocked, you can even get a free j.C into a mixup. 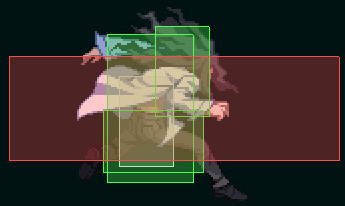 In fact, every time you can jump on the opponent and you haven’t used your airdash you get a mixup, because you can cancel all your air normals into a forward airdash on block. 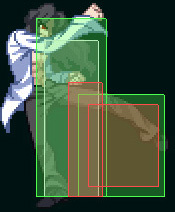 So after a blocked j.C for example you can either land and low or cancel into airdash j.B.
You can also mix j.C->j.B with j.C land low/throw. And of course you can always mix in throws during 2A pressure or after 236B. 2C is good to catch tech rolls after a throw. 623B is a real dragon punch, with invincibility. 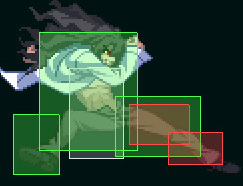 623C can serve as both a dragon punch and.an air unblockable situational anti-air. As a side note, both 623B and 623C can combo after a throw into the corner, but at the price of momentum. Useful to get the kill. H-Roa has a pretty good shield counter. Inputting 5D or 2D on an incoming attack will parry the attack and automatically counter with a 5C(1). It’s exceptionally useful when timed against jump in attacks that hit higher, granting no time to recovery before the 5C hits. Be aware that the counter after a successful shield can be blocked if the move countered had a low recovery time and in come cases may also be punishable. The window for a successful 5D/2D is also quite short and whiffing a shield will grant the opponent a massive window for punishing. As a final note, be aware that 5D will successfully shield both 5A and 2A for most of the cast. H-Roa being, of course, a Half-Moon character means he has a good bunker he can use to turn the tides of pressure. Inputting 214D while in blockstun with 100 meter will activate a shield bunker that is used as a type of reversal. It is punishable if someone is expecting it via blocking if the move used by them has little recovery time or shielding. Inputting 214D without blockstun will activate a raw bunker that does not cost meter that will clash with an incoming hitbox and counter it. In general these should be avoided or used very sparingly as more of a gimmick. If you want to catch and counter with shield, stick to 5D/2D. As anti-airs use j.A or j.B, or if you don’t have time to use them, simply escape with 236A. Escape various traps with a well timed 236C.